Jul 25 What Is The Love Shack? Seriously, What Is That Place? Sometimes we get a hankering for unusual things-- things we can’t buy at mainstream stores. Things like denim covered bicycles, vintage phonographs or giant beanbag chairs. After all, to live in Venice means taking a silent vow to deck your house and body with a special kind of style. And while the cute shops dotting Abbot Kinney and new boutiques along Lincoln Blvd (aka “The Linc”) have an array of fancy things like made-to-order hats and white gold unicorn bracelets, they don’t quite sell the items that satiate our hankerings. 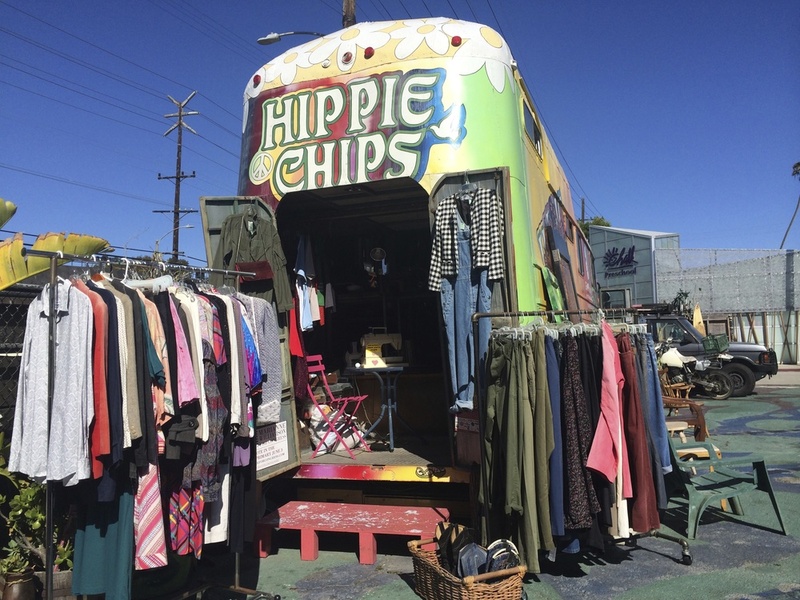 The one-of-a-kind vintage items we sometimes need can only be found at one place in Venice: The Love Shack. 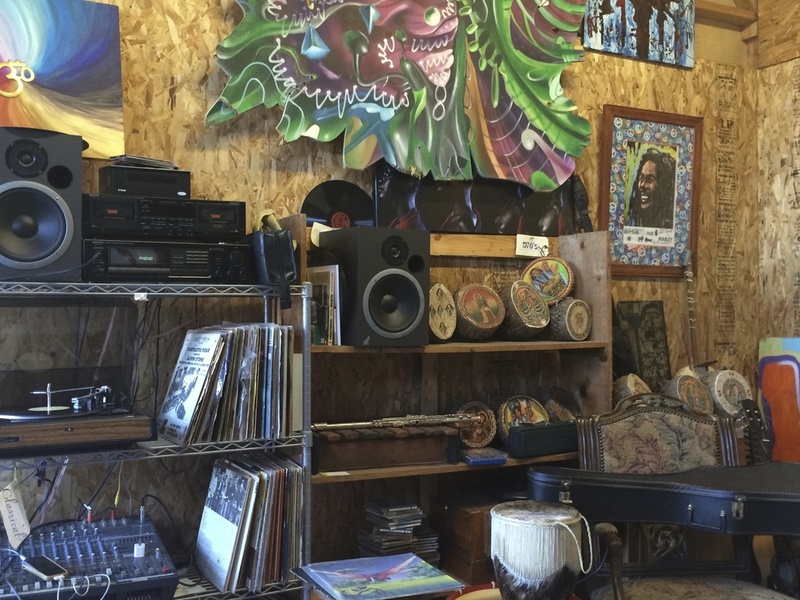 The Love Shack, gracing the corner of Victoria and Lincoln, is a bohemian behemoth. 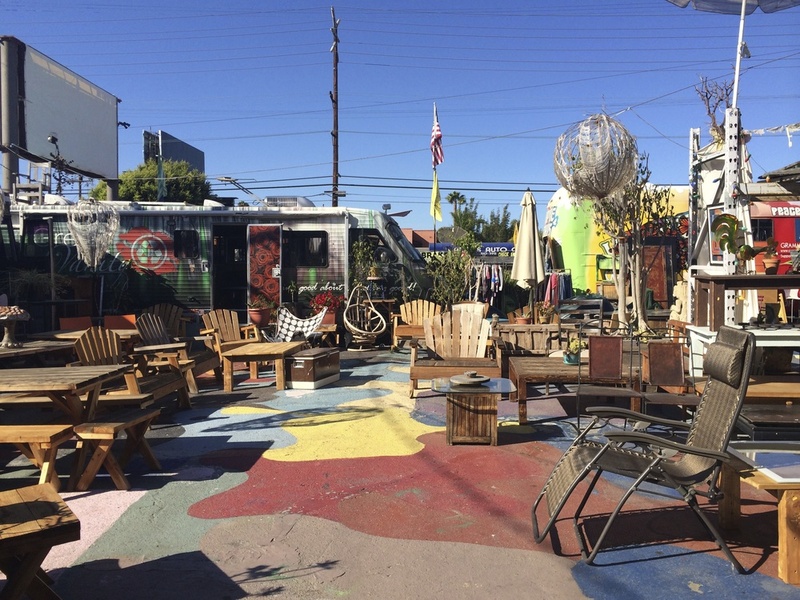 Flanked by actual hippie buses and filled with more beanbags than an actual bean factory, The Love Shack exemplifies a word often used by newcomers when they arrive in Venice: eclectic. Owner Udi Levy calls it ‘original Venice bohemia.’ He doesn’t even really like to say it’s a place to buy things. 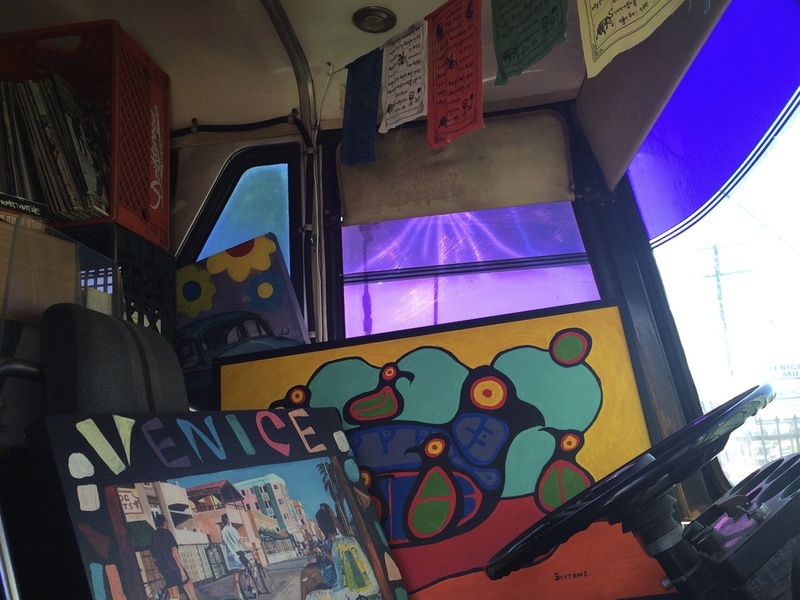 He sees it as more of a collective, a space where artists and Venice residents can congregate, work on their crafts, hang out, record music, work together as a community to improve the neighborhood, and sip some tea on one of his signature beanbag chairs. Love Shack owner Udi Levy (pictured in front of the Lion mural because he's a Leo) with bff Ella. 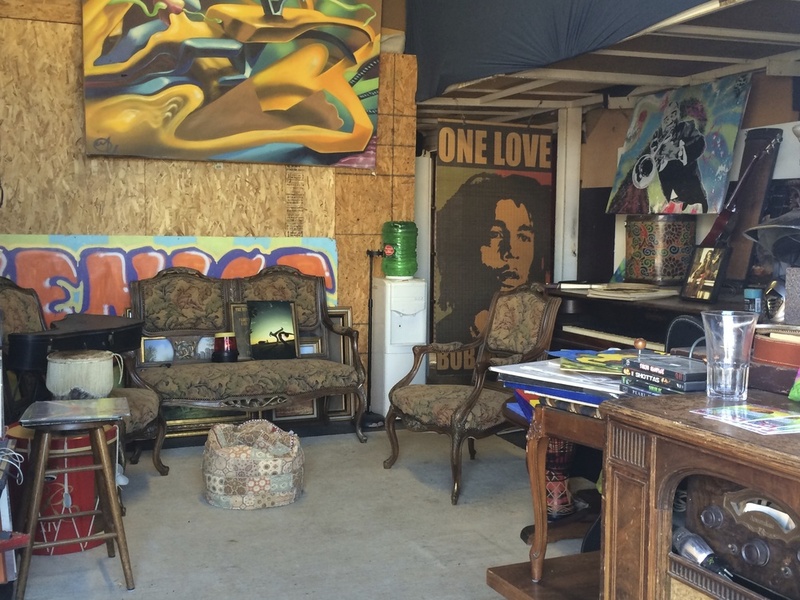 In 2010, he turned A Bed For You mattress store into a beanbag shop and creative space. 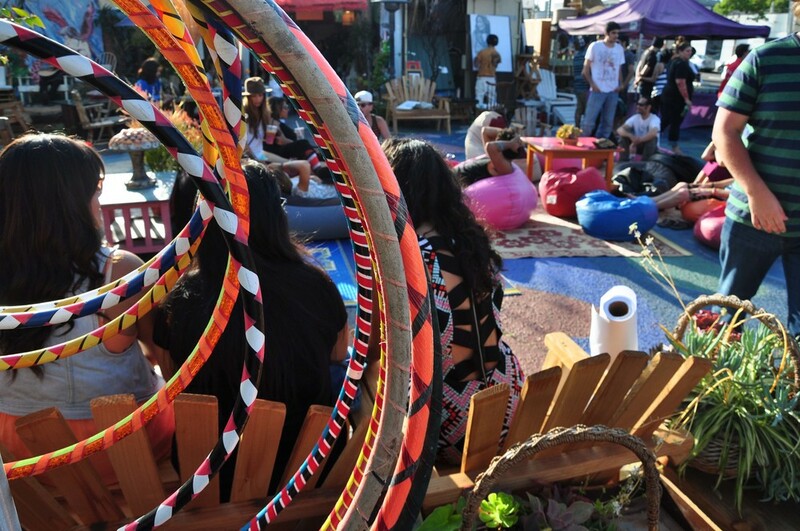 Beanbags are what started it all. Udi had seen his midwife mom help birthing mommas get comfortable for years. She designed a special life-size beanbag that supported mothers in any position whatsoever. The chairs sort of meld to shape of your body. If you are one who wants to sleep half twisted with legs askew, Udi has a beanbag for you. So, it was all about comfort when Udi converted an old bed store into a beanbag factory. You’ll never believe this: It’s the largest beanbag factory in Venice. Brennan shows a handful of recycled foam and micro "beans" as he's unstuffing a bag that's headed to the seamstress for repairs. 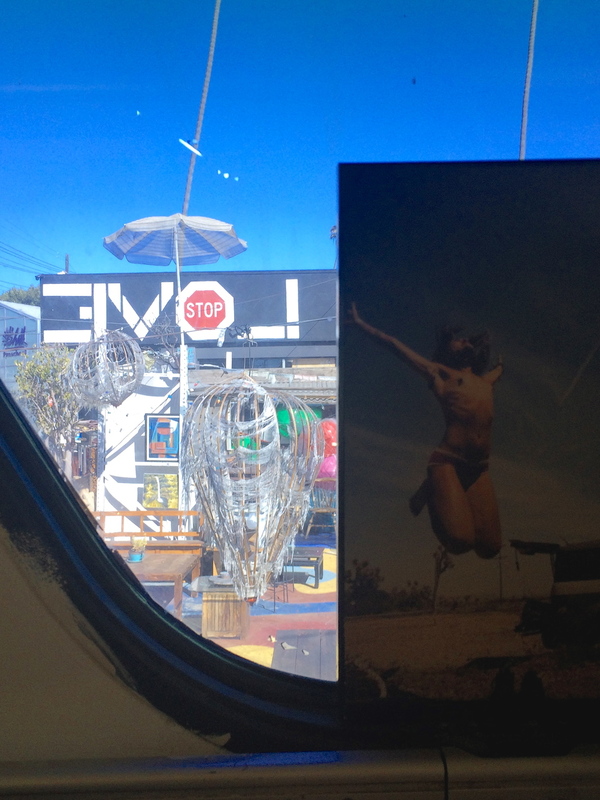 He also has his artwork pictured above displayed in the Love Shack gallery. Quickly, the 10,000 square foot space, a hot commodity on the quickly growing Lincoln Blvd, began transforming into much more than beanbags, bursting at its vintage seams to cultivate a truly welcoming space for artists and non. Created by a pair of Vietnam vets post-war and driven straight down from Haight-Ashbury, it’s topped with an old boat converted to a rooftop deck and busting with hand-selected wearable vintage pieces for sale — we’re talking handbags, shoes, and clothes from years gone by in great condition – curated by Venice local Tyrus Wilson. (You'll probably recognize her as one of the friendly faces from Baby Blues who's sweeter than their key lime pie.) Follow @le_bus on Instagram for more shots like the ones pictured above. An old public bus, this one hosts an enormous selection of vinyl records. You can spend a day reliving old times simply by flipping through records from all different ages. If you like Udi’s regular beanbags, you’ll love the custom designed versions. Like the original, these are filled with tiny eco-friendly “beans” that conform to any body’s position. These, however, use upscale fabrics to make beanbag design pieces… ya know, for the Venice newcomers who have houses with dishwashers and stuff. 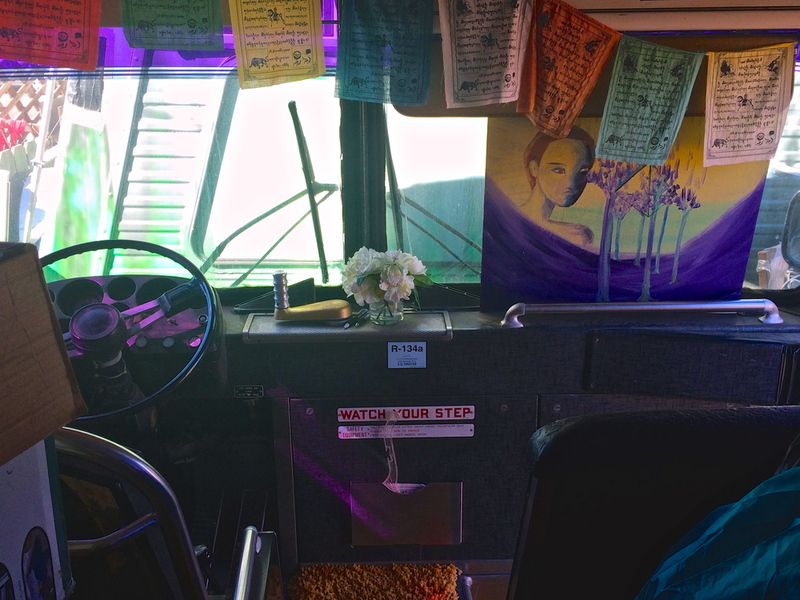 You can buy one in the carpeted Hippie Bus #3.
di has relegated his large indoor space to the locals who paint. 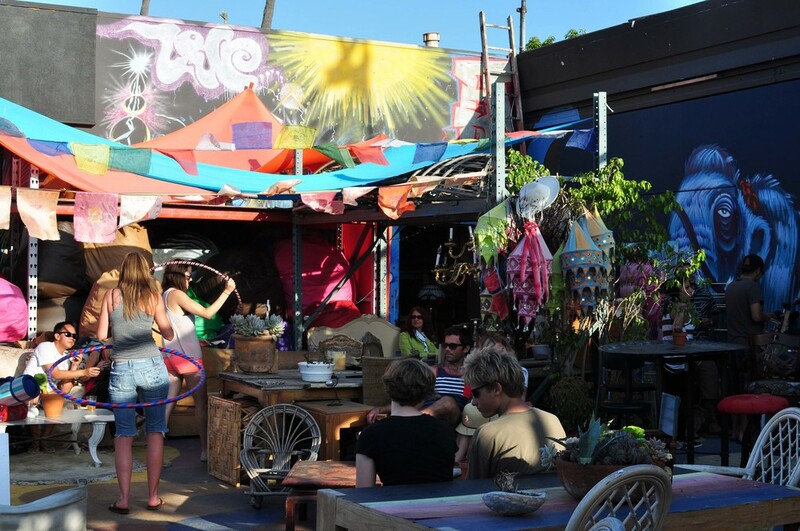 Covered in brilliant canvases, it’s a place where artists can come to create, to hang their own art for sale, or to support the creative locals by buying brilliant artworks in all shapes and sizes. This space is also for rent, so if you want to cover the walls with only your art and have a show, Udi will accommodate. Behind the gallery, you’ll find a spiritual space. Light some incense and lead meditation workshops or clear out the pillows (and, of course, beanbags) and ohm it up with yoga. It’s Venice, so it’s best to live up to the stereotype. It’s just $40 to rent the space for an hour, and you can have your way with it. The huge lot in the center of it all is the largest consignment shop this side of Lincoln. 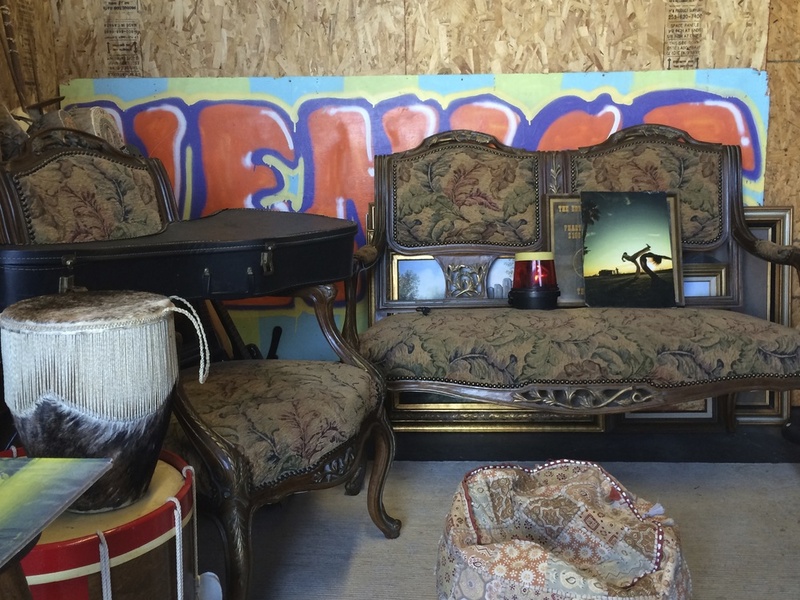 You can drop off your vintage goods, sell them through the Love Shack, and pick up cash or another vintage item later. The space is packed with an array of patio furniture, lamps, plates, and good luck charms galore. To walk into the Love Shack is to walk in to what you might romanticize Venice would have been like back in its heyday, before the houses were millions of dollars and the restaurants had waitlists – a bunch of freewheelin' hippies making art, eating vegan snacks in their dusty beanbags, and jamming to a great collection of vinyl. And that’s sort of what it really is — a modern Venice heyday where anything goes and everyone is welcome. It definitely is a magical colorful place filled with things to discover. And it's always evolving. 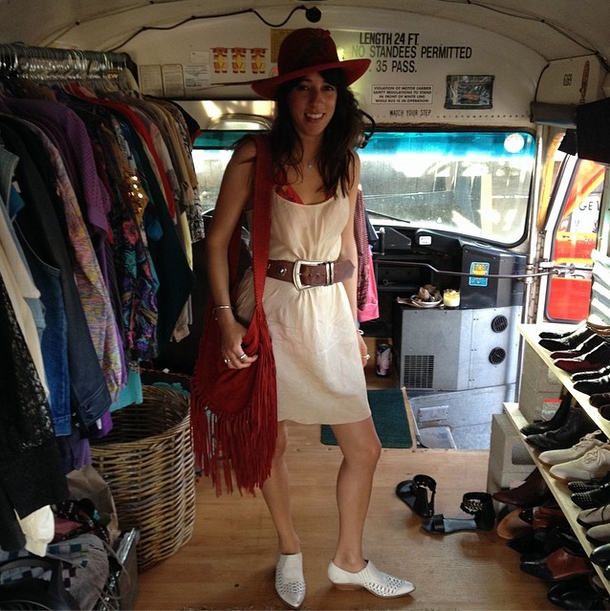 Udi says that a hairdresser will be taking up residence in a vintage RV. 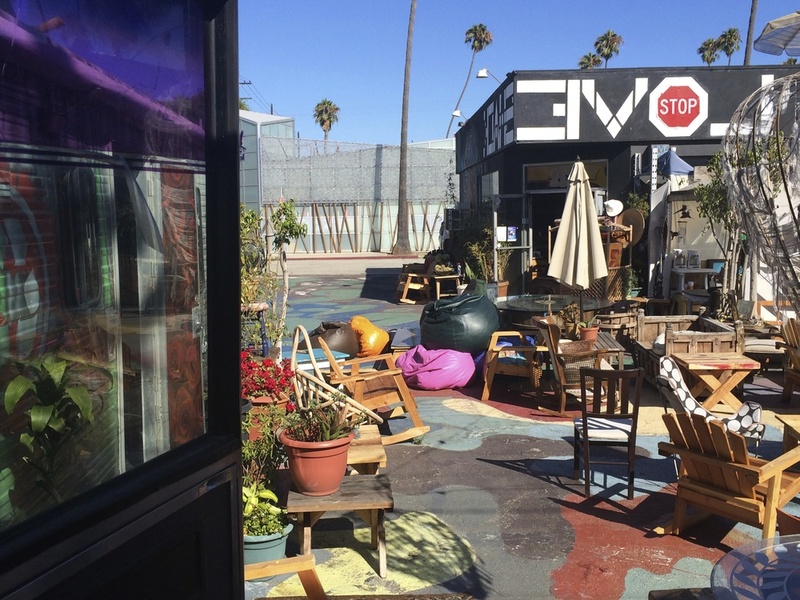 The way that the Love Shack clings on to its original Venice roots is worth some applause. The world is changing all around the Love Shack. And, sure, Udi can move away those hippie buses and start selling $15 juices, but he doesn’t want to. He wants to represent the way Venice once was. He wants the Love Shack to be a place that doesn’t push anyone away. In fact, every Sunday morning at 10 am he hosts an open-to-all meeting of the creative community. It's our local chapter of the Unity & Diversity World Council, a non-profit that promotes local-to-global networks for the pursuit of peace, justice and an environmentally sustainable civilization. He wants to support art, and he’s one of the few Venice businessmen that isn’t in it for the money. This means, of course, that he needs help. Support. He needs people to snag some art or vintage furniture. To roll around in beanbags. He is also searching for someone local with business savvy to explore the idea of getting the Love Shack turned into a non-profit so he can receive donations and pay his ever-increasing Venice rent. Most of all, he needs Venice locals to come hang out. To hold yoga classes and meetings there. To come in and just chill. To sit for a while. To watch Lincoln flourish one cup of tea at a time. So go support the arts. And the old days. And buy yourself a denim bicycle or a toilet converted into a chair. Do it for Venice. 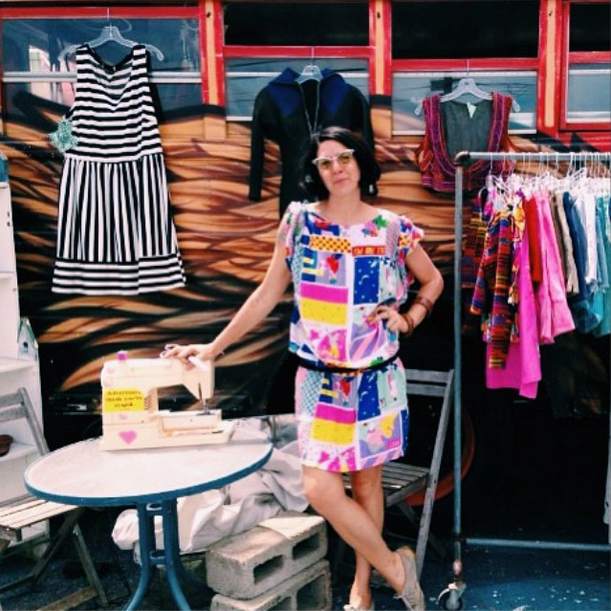 Laurenne Sala is a Venice local living on the east side (of Lincoln). She's a vegetarian who hates salad and one of those annoying girls in yoga pants always toting around her mat. She writes TV commercials to pay the bills but would prefer to be traveling or people watching and gathering material for her blog Humans Are Funny. Follow her tweets @laurenne. Lincoln Blvd: "Call Me The Link"